When plants are exposed to stressful conditions, metabolic shifts occur and result in changes in the levels of a variety of cellular metabolites. The accumulation of low molecular weight water-soluble compounds known as compatible solutes or osmolytes is the common strategy adopted by many organisms to respond to environmental stresses. The most common compatible solutes are betaines, sugars, polyols, polyamines and amino acids. One of the best studied compatible solutes is glycinebetaine (GB). The accumulation of GB in cells is known to protect organisms against abiotic stresses via osmoregulation or osmoprotection. Genetically engineered synthesis of GB biosynthetic enzymes and studies of transgenic plants demonstrated that accumulation of GB increases plant tolerance to various abiotic stresses at all stages of their life cycle. Transgenic plants engineered to produce GB accumulate a very low concentration of GB, that confers considerable tolerance to various stresses, without necessarily contributing significantly to cellular osmotic potential. Possible mechanisms of GB-enhanced tolerance to various types of abiotic stress include: stabilization of certain complex proteins to prevent denaturation when plants or plant cells are exposed to stress conditions; induction of the expression of specific genes and subsequent depression of levels of ROS in plant cells; and prevention of the accumulation of excess ROS, resulting in protection of the photosynthetic machinery from stress, as well as of ion-channel proteins and cell membranes. Both the exogenous application of GB and transgenic plants studies demonstrated that GB is an effective protectant against abiotic stress in plants. New insights gained about the mechanism of GB accumulation in transgenic plants and the exogenous application of GB will further enhance our understanding of the mechanisms that protect plants against abiotic stress and other roles in improving growth and development in normal conditions. 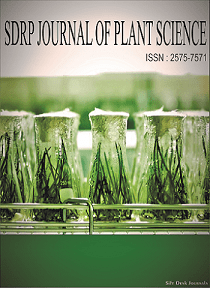 In this Research Topic, we welcome Reviews and Original Research Articles that aim to expand our knowledge and understanding of the physiological and molecular mechanisms of glycinebetaine enhancing abiotic stress tolerance and the role of GB accumulation in transgenic plants and/or exogenous GB applications in improving growth and development in normal conditions and under abiotic stress. Submitted research articles can also focus on a combination of glycinebetaine and other compatible solutes enhancing the abiotic stress tolerance. • Elucidation of the mechanisms through which glycinebetaine protects photosynthesis in response to abiotic stress. • Understanding the interaction between glycinebetaine and plant hormones under abiotic stresses and normal condition to enhance plant growth and development. • Study the molecular mechanism of glycinebetaine in the regulation of ion channels and maintainance of ion homeostasis under salt and heavy metal stress. • The mechanism of glycinebetaine induction of the expression of specific genes. • The application of exogenous glycinebetaine and its role in enhancing plant growth and yield under abiotic stress and normal conditions. • Glycinebetaine and ROS scavenging systems, and any other novel role of glycinebetaine in abiotic stress response.